Last update: March 22 2019. For those interested in NGS technology we recommend our regular two-day course! More information here. Currently we offer processing of your samples using following technologies and instruments. Given the rapid technological developments, it is possible that despite all efforts, the information provided below is not 100% up to date. Please refer also to an indicative overview of instruments or contact us if necessary. Instruments by Illumina have at the moment the highest accuracy of reading. We can offer instruments and chips having various outputs of sequencing data in terms of read length and amount (sequencing capacity). Using the proper settings it is possible to ensure economic use of the device meaning with one type of technology, experiments with different sequencing capacity requirements can be realized - from sequencing of small genomes or amplicons on MiSeq to large genome or RNA analysis on HiSeq and NovaSeq. It is possible to carry out a pilot experiment with a lower capacity and then design a larger scale experiment according to the results. All Illumina instruments use the sequencing chip called flow-cell, in higher-capacity models with several separate lanes. These lanes can be considered as separate units for sequencing. Thus, multiple samples can be sequenced in one sequencing run without indexing. Using indexing, it is also possible to analyze a larger number of samples in one lane. The most advanced method in this regard is the use of unique dual indexing. 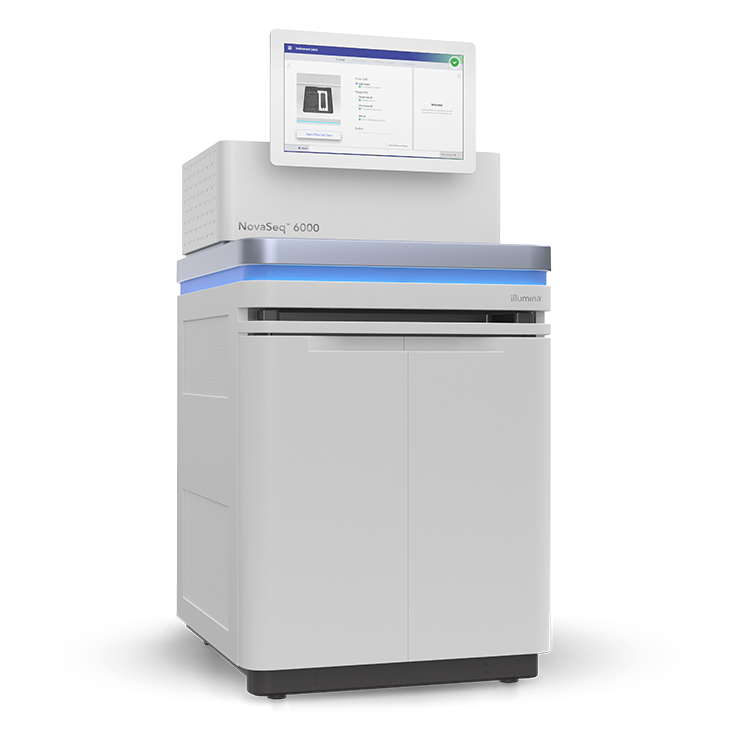 For special applications (for example de-novo genome assembly or when sequencing amplicons and repetitive motifs) longer sequences need to be obtained and SMRT technology used in PacificBiosciences devices can provide this. The length of read can be as much as 30 kb on average with high read quality. Compared to other technologies, there is no template amplification step during the preparation of the sample for sequencing and therefore some epigenetic modifications can be recorded directly. A circular DNA molecule serves as a template and DNA polymerase reads it until the sequencing run is finished. Fragments of up to a few tens of kb are therefore repeatedly read and by comparing individual readings performed by the device automatically, the correct identification of every base is achieved. This strategy is called "circular consensus sequencing". By reading 8-10x, reading accuracy is improved to more than 99.99%, which is comparable to that of Illumina. A very interesting option for applications requiring long reads are the Oxford Nanopore sequencers. Experiments have now been described in the literature where sequences of up to 300 kb have been obtained and the read length is essentially limited only by nucleic acid integrity. This technology is based on direct base detection, without the need to amplify the template, hence it has the potential to detect epigenetic modifications directly. OxfordNanopore is still confronted with a reputation for poor quality of sequencing. The truth is that the translation of the signal was and still is a sore point for this technology, since despite constant and rapid progress in this area, reading accuracy is at most about 95%. However, it is still possible to combine long, less accurate sequences with short, accurate ones to obtain far better de-novo assemblies than would provide the short-reads by Illumina themselves. In addition, the progress in signal decoding is very fast and even "old" data can be reanalyzed with new algorithms. Chromium is not a sequencer, but a system for preparation of sequencing libraries. In the sequencing library, all fragments originating from one particular molecule (up to 50 kb in length) have the same identification sequence (barcode), which makes it possible to identify their origin and thus to obtain unique added information that allows for much more interesting data processing. The device is capable of barcoding up to 750,000 molecules. The second attractive feature of this device is to barcode each and every unique polyA RNA molecule originating from a single cell. This opens the unexpected possibilities of studying cellular expression and comparing individual cells with each other.